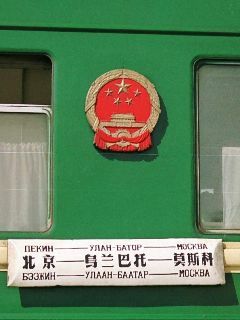 (left)A destination sign of Beijing-Moscow international train. Photo in Jul, 1991. 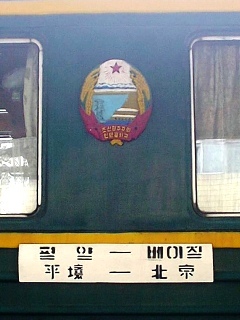 (right)A destination sign of Beijing-Pyongyang international train. Photo in Jul, 2000. 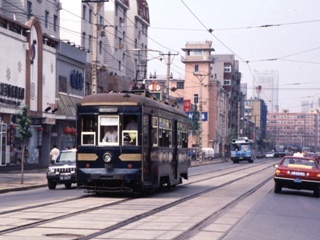 Tram car in Dalian. 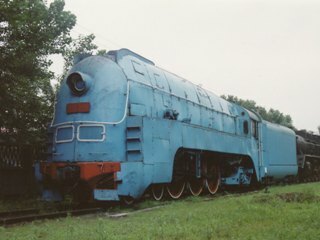 Old type car, imported from Japan before the World War II, survived in 21th century. 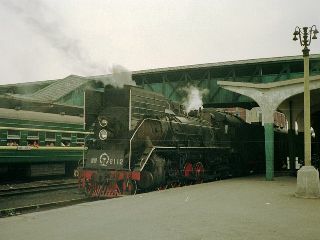 Photo in Jul, 2000.